Who better to speak about the creative process than the greatest artists in history? 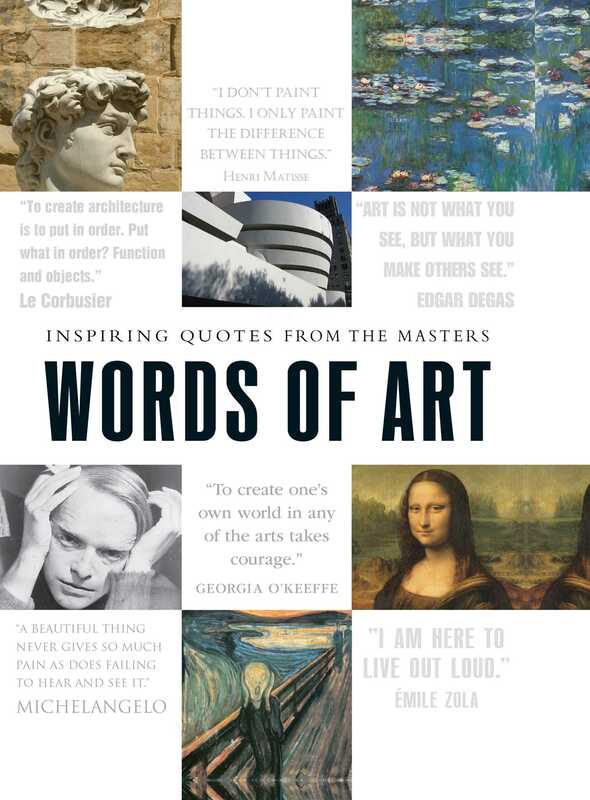 From Georgia O'Keeffe and Ralph Waldo Emerson to Pablo Picasso and Isak Dinesen, Words of Art is a celebration of the craft and the artists who have changed the way we see the world--and influenced how we create. You can't ask Michelangelo how he felt when he first took a step back to look at the statue of David, or what Leonardo da Vinci felt when he began painting the Mona Lisa, but you can read their words and imagine for a moment how these stunning works came to be.